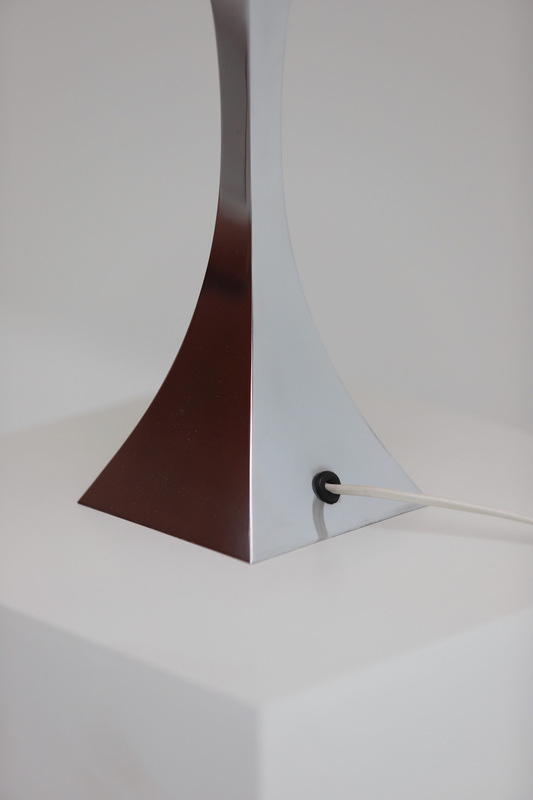 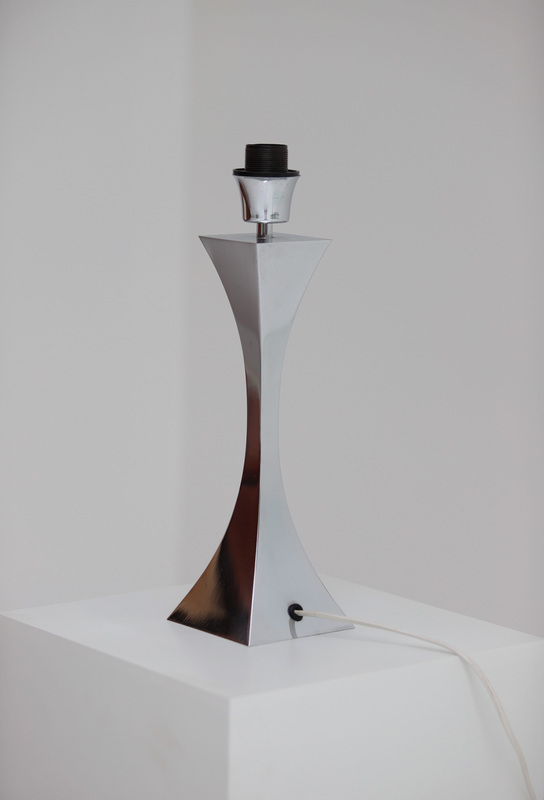 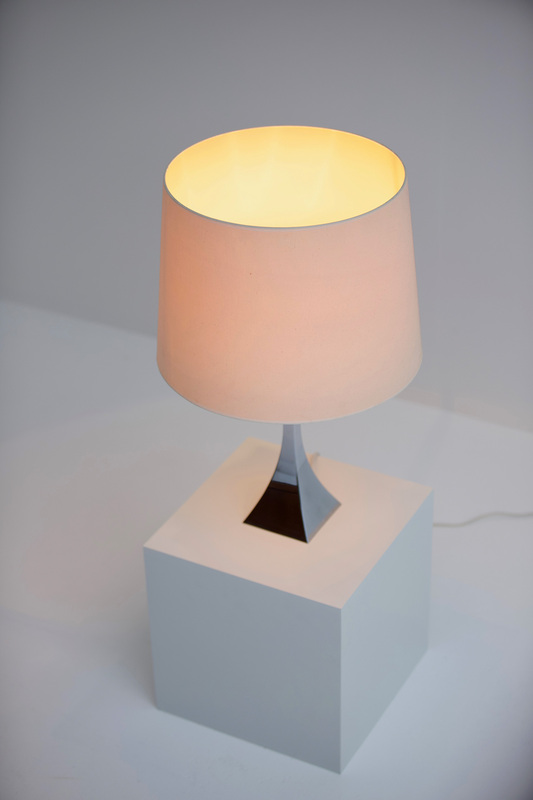 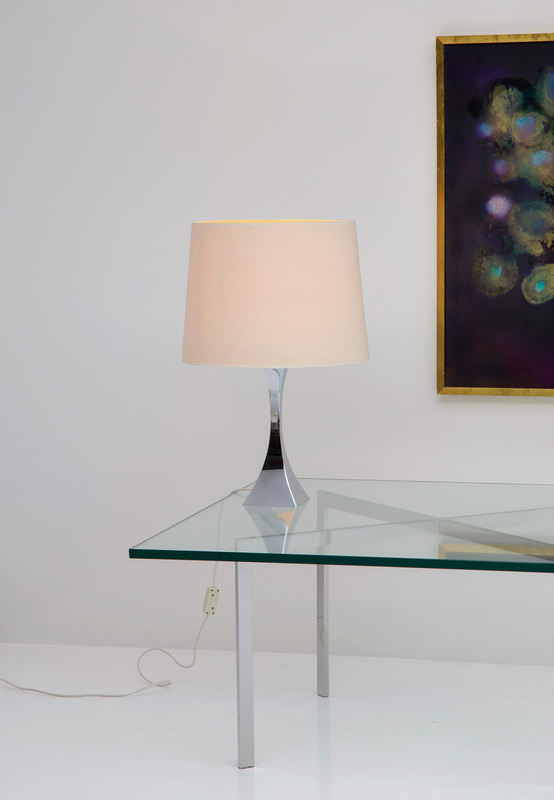 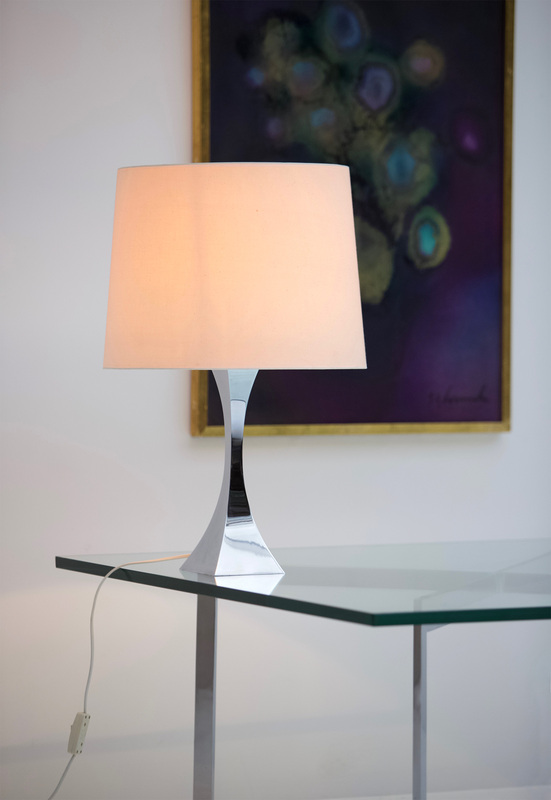 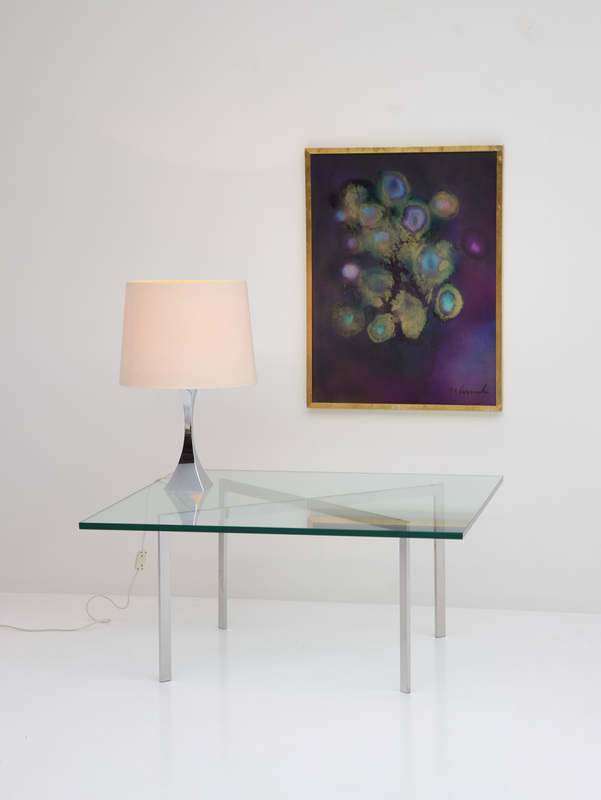 This chrome table lamp was designed by Tonello and Montagna Grillo for High Society, in 1972. 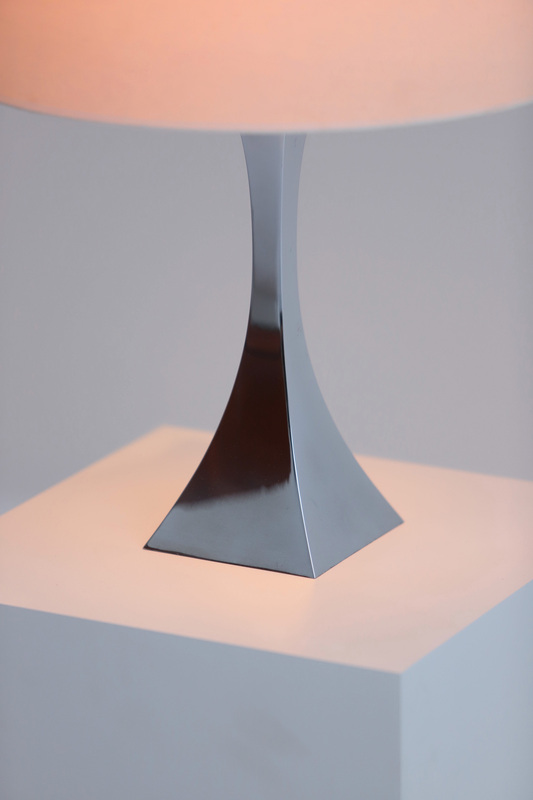 Its trunk is in chrome-plated metal and showed the elegance of Italian design from the 70s. 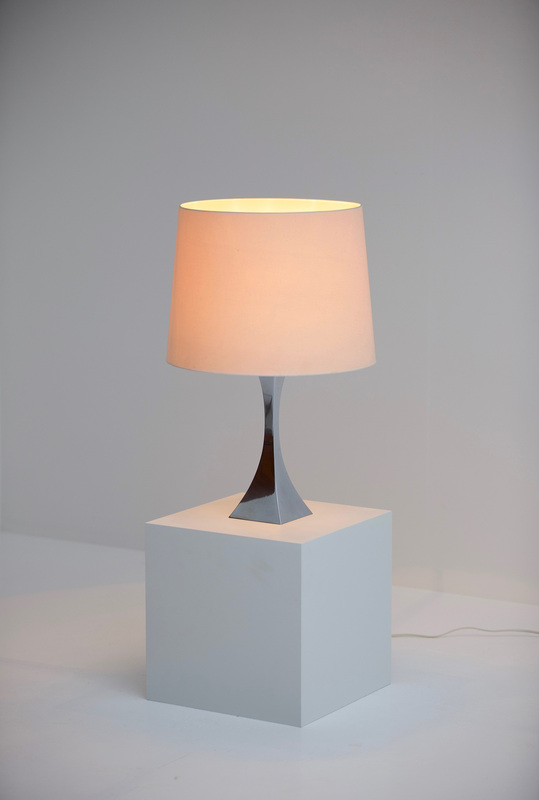 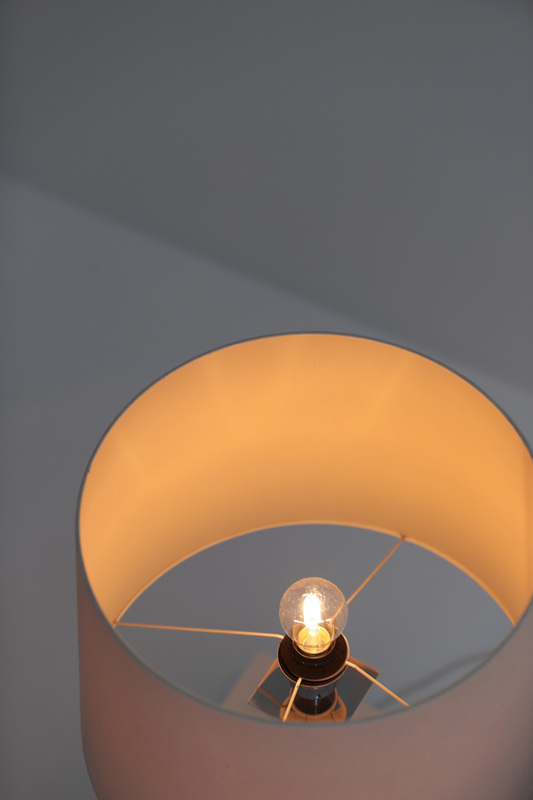 The lamp stands In an excellent original condition.